Builders Alert! 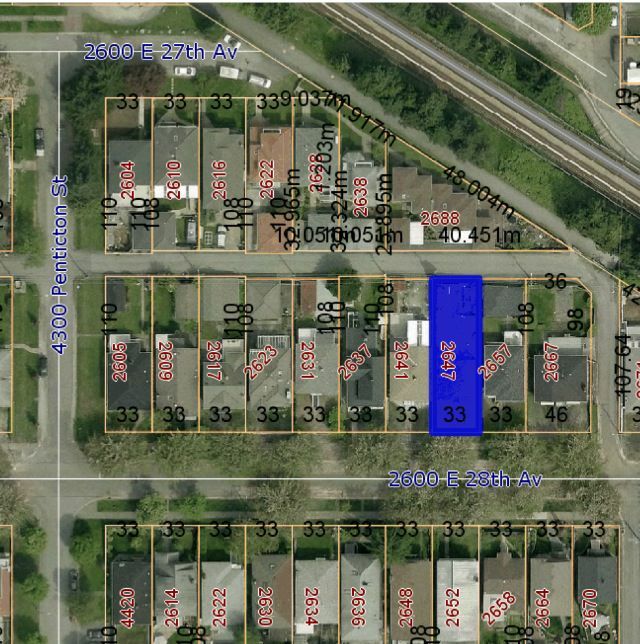 Great 33 x 108 building lot in the Vancouver East Collingwood Area. This parcel is not on a T with both front and back lane access. Existing structure onsite not livable and must be demolished/removed. Buyer to check with the City of Vancouver as to Buildable size of home and laneway. Move Fast!